If you want to learn to hypnotize yourself, the process is just the same as hypnotizing someone else. When we trained people in our workshops over many years, we taught them to treat themselves as someone else - which immediately creates the natural dissociation typical of hypnotic states. This means that you can use all the techniques you learn in our free online hypnosis course for self hypnosis - and you go as far as to use language in the same way as you would if you were hypnotizing someone else - for example, "you can sit there and relax" rather than "I can sit here and relax". Please note that self hypnosis should never be practiced when driving, operating machinery or carrying out any other activity that requires your full attention. It's a good idea to write out a rough plan for your induction, or at least have in mind the path you're going to follow with your hypnosis script. If you like, you can write out your script in full. Develop your own imagery and symbols for supporting and visualizing your goals. Imagine yourself achieving whatever you wish to. Make it real, like a memory but in the future. Don't think that you need to speak like a hypnotist! Begin the session in your normal voice at a relaxed pace. As the session progresses, slow down and soften your voice so that as you enter hypnosis, you are speaking softly, and at a slower pace than when you began. Your voice can return to normal at the end of the session as you leave hypnosis. Find a place that is quiet, comfortable and free from disturbance to practice self hypnosis. You certainly must not be driving or in any other situation where your immediate attention is required. Soft music and lighting may help but we would not recommend the burning of candles. 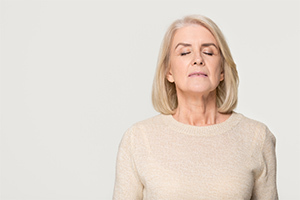 Use deep breathing and relaxation techniques to prepare for entering hypnosis. Just focus internally and start to notice whatever you notice. This is not a time for judging, analyzing, criticising or worrying. Notice your thoughts and feelings and assume that very soon they will just drift away - they are really not necessary at the moment. Allow your mind to become calmer and clearer. When you're just getting started, using 'deepeners' in your hypnosis script, such as going down a staircase or an elevator, or floating down a stream, can help you go deeper into your hypnosis. Count down in your mind as you go deeper into relaxation. At times there will be inner resistance to relaxation especially when you first start to practice self hypnosis. Just be aware of it and let it go... it will! Spend some time in your own special place. Create your own magical place in your mind, maybe somewhere you know, maybe just an imagined paradise. This can be a place where you feel safe and relaxed and anything is possible. Use all of your senses - what can you see, hear, feel, smell and taste? Make this experience as vivid as you can, again, you will get much better with practice. Towards the end of your trance, include some post-hypnotic suggestions for re-entering self hypnosis next time you practice. You can, if you wish, record your hypnosis scripts. This can be a good way to enter hypnosis and make changes you have already planned, without the need to remember your script as you enter trance. For more details on self hypnosis, sign up to our free online hypnosis course.